Since my last review was on the Belo Intensive Whitening Body Cream, I thought I'd do a review on another product that's part of the new Belo Intensive Whitening line. With my uneven skin tone and multiple dark, post-acne and sun spots, I'm constantly on the look out for a skin care savior that'll not only help me with those problems but also moisturize my dry, dehydrated skin sufficiently. While I was picking up the body cream, I spotted the Belo Intensive Whitening Face And Neck Cream right next to it and decided to try it out as well. I'm glad I took the chance because this has quickly become one of my favorite face creams/moisturizers to date! Product info: A luxurious skin-rejuvenating face and neck cream with the powerful combination of Kojic Acid and Tranexamic Acid that intensively whitens skin. SPF30 further protects against harmful UVA and UVB rays. If you're a little stumped by the terms "kojic acid" and "tranexamic acid" and the role they play on your skin, have a read of the body cream review here where I talk about both in a little more detail. The product is housed in a sturdy, plastic tub. I find that a lot of face cream tubs are quite heavy, even if the amount of actual cream is very little, but this Belo one is really light weight. It's very travel-friendly and you don't need to transfer it to another smaller jar just to lighten the load of your bag or suitcase. The gold that lines the bottom of the tub's cover fades and chips off after a while though, which in my opinion eventually cheapens the look of the product but it's not really a big deal. This thing is most likely just going to be stored in your bathroom anyway. Once you unscrew the cover, you'll see two things: an orange, plastic 'spatula' for hygienic dispensing or collecting of the product, and an inner cover that makes doubly sure the product doesn't leak out as well as acting as a convenient place for the 'spatula' to rest. With most skin care products that come in tubs or tins, many people prefer to use a scooper or spatula of some kind. That's ideal because it prevents your fingers from contaminating the product; and if your fingers aren't exactly clean, it'll allow bacteria to harbor and grow inside the container and ruin the product and potentially your skin as well. I find these kinds of 'tools' a bit of a nuisance though and I throw them away soon after or even before I start using the product. That's because after thoroughly washing my hands, I use only my pinky finger to do the scooping then the rest of my fingers to blend in the cream. I've used this method for years and so far no negative effects on any products or my skin! I also threw away the inner cover because I got annoyed with having to remove and place it back on every time as well (can't you tell I'm lazy?). Thankfully the product still doesn't leak out without it, even if the tub is resting on its side. Belo gets good points overall with the packaging for this! 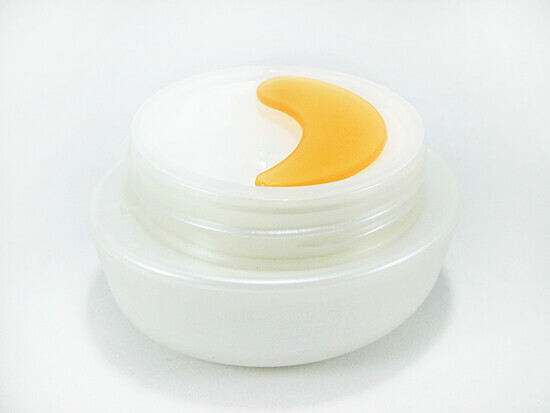 The formula of the cream is rich but lightweight, and just a little on the thicker side. It ticks all the right boxes for me because being rich and thick, it provides my skin with a lot of moisture and not only hydrates it but instantly makes it feel softer and smoother. The fact that it's also lightweight means it doesn't just sit on the surface of my skin but actually absorbs fairly quickly. Within 5 minutes, I'm ready to move onto the next step of my skin care or makeup regime! I also really like the scent. It's not faint, but it's not overwhelming either. What impressed me most about this cream is that even on days when my skin is super dry to the point that it flakes and dry patches are visible, this is sometimes able to moisturize my skin enough that both the patches and flakes disappear as the cream absorbs. I say sometimes because there are occasions when I do need to bust out the big guns (aka facial oils) because the cream just isn't cutting it on its own, but I say over half the time it 'cuts it' really well! 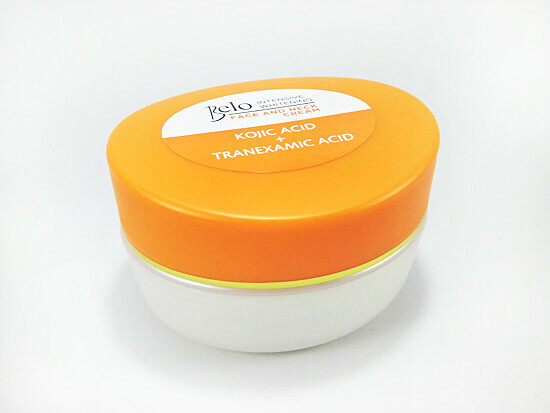 It's almost ironic because Kojic acid is known to be very drying or harsh on skin. I haven't seen any improvement in my dark spots or skin tone yet, despite over a month of usage, but hopefully using this longer means I'll be able to get better results. 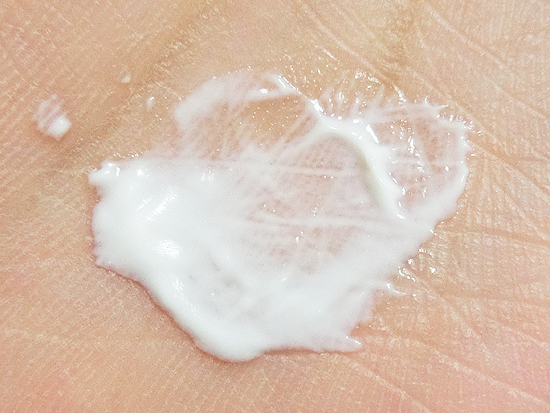 Either way I'm currently really pleased with it as a moisturizer. Having an SPF of 30 in it also makes me confident enough to skip sunscreen on makeup-free days or when I'm really pressed for time. What I think would be the cherry on top for this product is added anti-aging ingredients. If it had goodies like collagen and such in it, this could easily become my HG moisturizer/face cream. Then again, moisture is really the key when it comes to keeping skin looking young, right? Perhaps then it doesn't need any added ingredients after all! It has a generous amount of SPF. Despite its rich consistency, it absorbs fairly quickly into the skin. Deeply moisturizes and hydrates my skin. I haven't noticed any of my dark spots lightening or fading and my skin tone is still uneven. 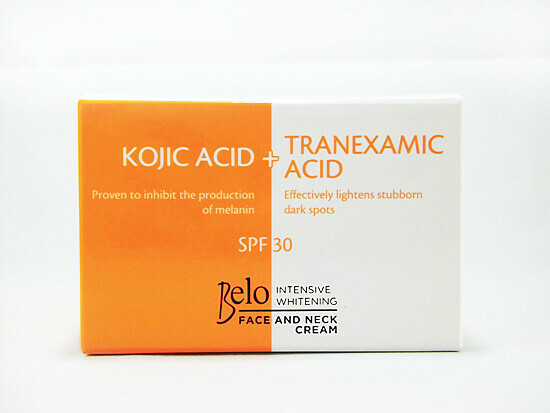 Kojic Acid is known to be quite harsh for a lot of people's skin. Though Belo states this product is hypoallergenic and dermatologist tested, be sure to do a 24 hour patch test first before using, especially if you have sensitive skin. This cream will suit those with normal, combination, or dry skin best. If you have oily skin, I suggest finding a cream or moisturizer that's lighter.